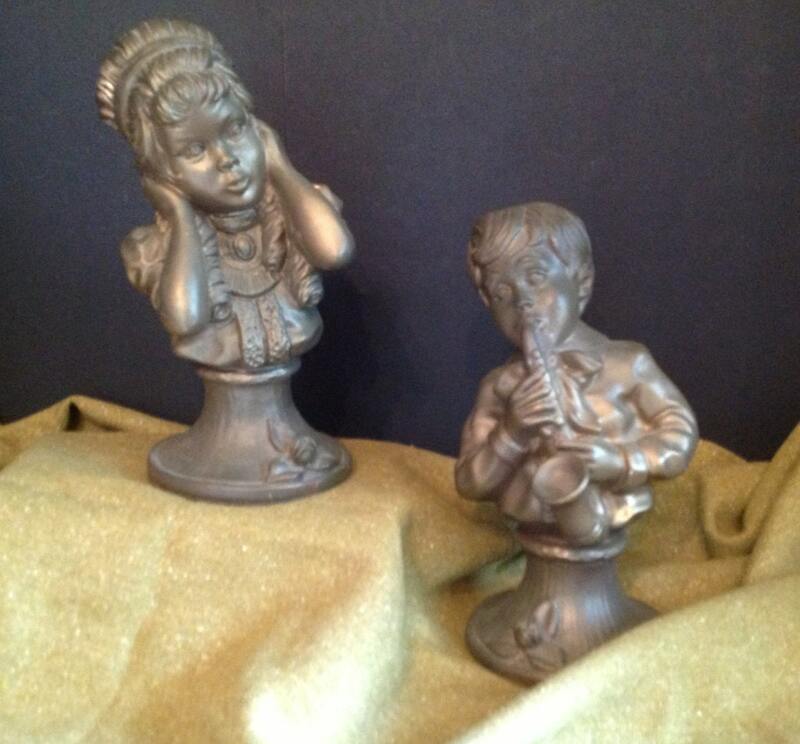 Offered is a pair of vintage 1971 shabby chic plaster busts of boy playing saxophone and girl who just can't take it anymore! Manufactured by Universal Statuary and signed Kendrick '71. Stamped Chicago 136B and 136C. I believe these were originally gold tone (shows through), but have been painted a grey-green hue that is trending right now. There are also very small flecks of paint loss. 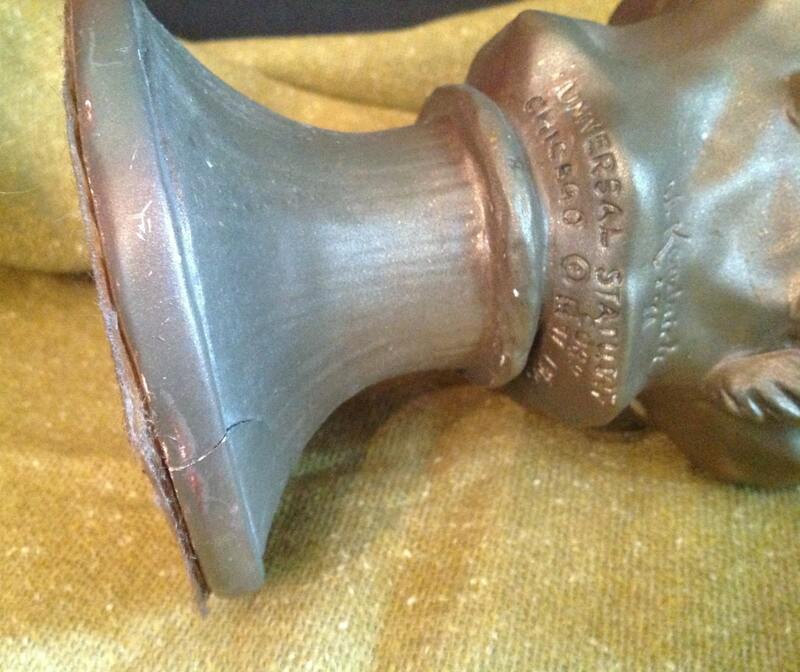 The statue of the girl has about a 1" crack in her base, (see last photo), but still shows very well. Price reflects condition. 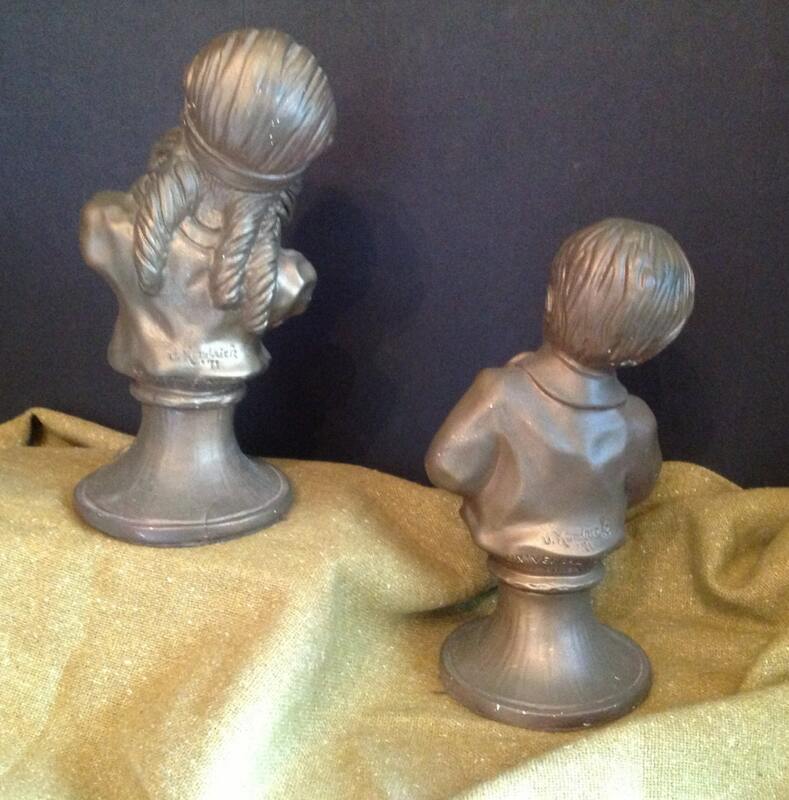 Great to use for bookends. Shipping estimate is on the high end. I do reimburse overages of $1.00 or more.